Our adoption process includes a simple contract and an adoption fee. 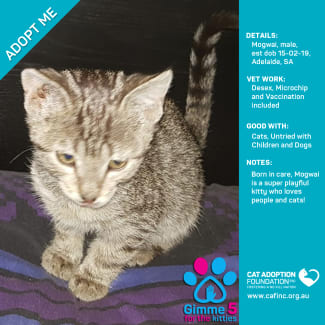 Mogwai is a super playful boy who loves people and cats. 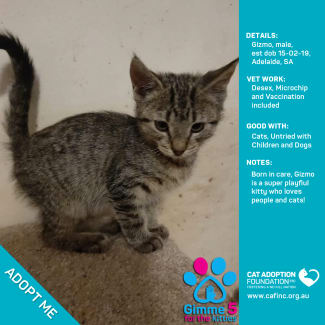 Gizmo is a super playful boy who loves people and cats. 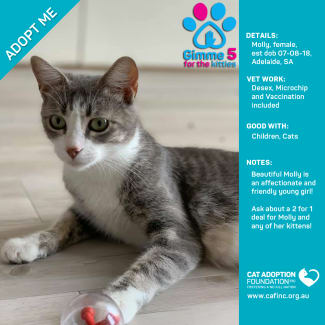 Molly is a friendly and affectionate girl who is good with other cats and children. Her kittens: Jax, James, Ariana, Stassi and Beau are also up for adoption. Harry is a quiet, gentle giant. 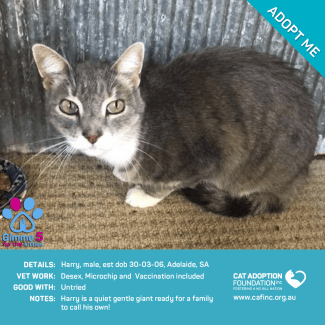 He has not been trialled with other cats, dogs or children.